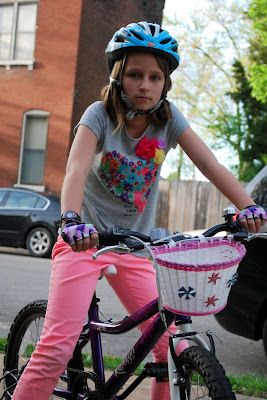 Last night the girls got some bike riding in while dinner was in the oven. It was a gorgeous night, and the band was playing across the street, and the sidewalks were full of people – and new neighbors! 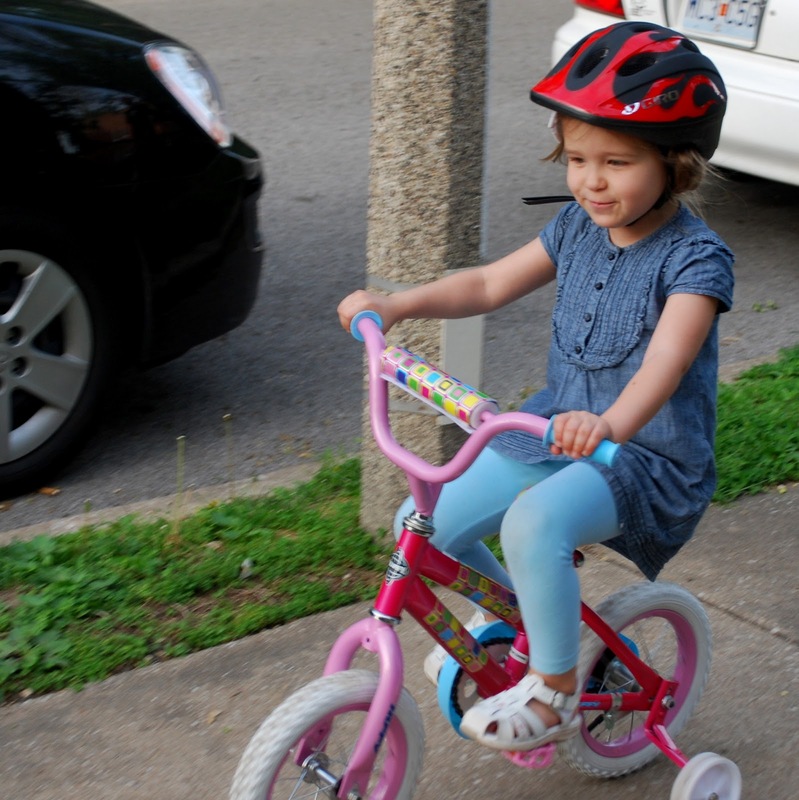 Man, they are growing fast. Sometimes it just takes some spring clothes and some bike wheels to really show you how much they grew over the long, long winter. 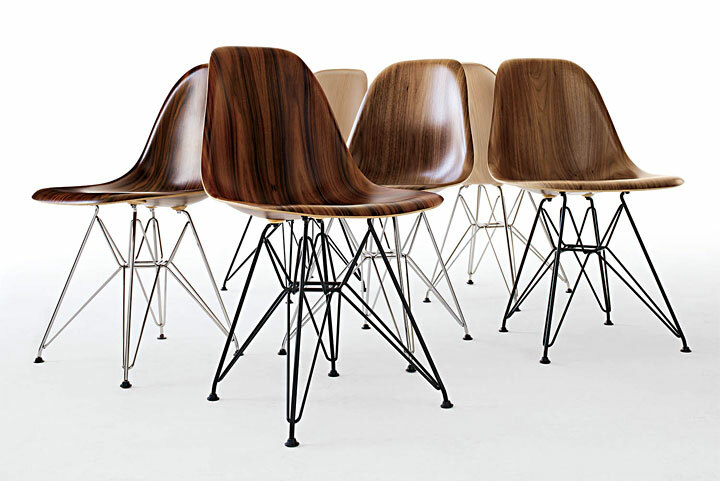 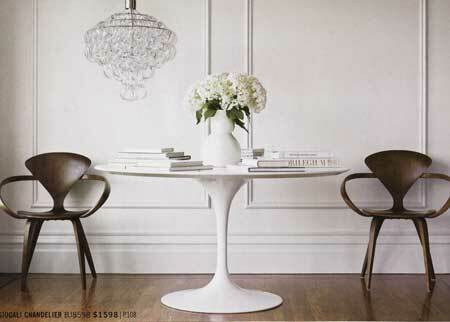 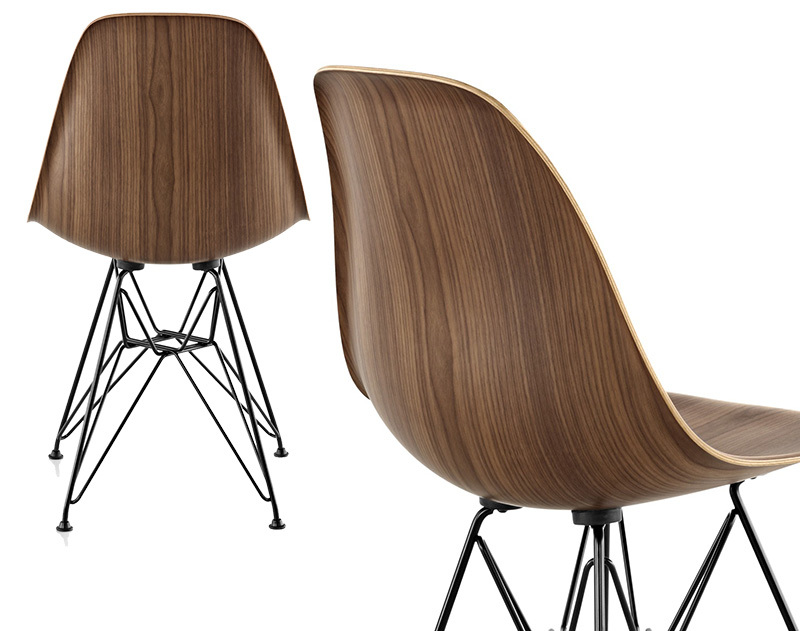 For all of you fair readers who dive into the DWR catalog each month as if it were a paid magazine subscription – what did you think you when you saw these molded wood chairs? 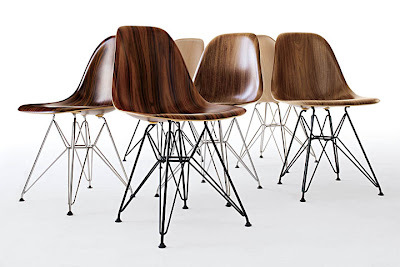 We are happy owners of one lime green Eiffel Side Chair and one aqua sky Eames Molded Plastic Rocker, but these molded wood chairs would sit so very happily around the dining room table (of my dreams).